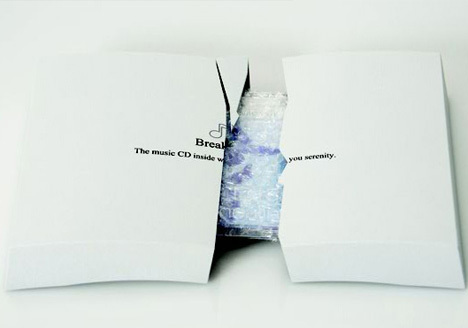 Smashable CD Packaging- Just Perfect for Relieving Stress! 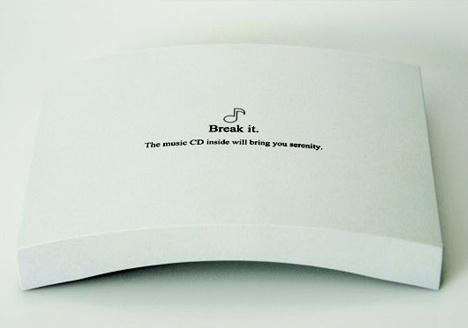 Smashable CD Packaging- Perfect for Relieving Stress! 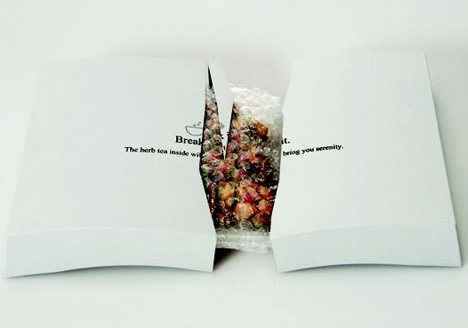 Break It is a body and mind relaxation kit that contains a meditation CD. The wonderful thing about this CD packaging is that before you can check the goodies inside, you have to literally break it. So flex your muscles and crack your knuckles and get ready to give this CD case a good smashin. Well, not too good or you might break the CD. 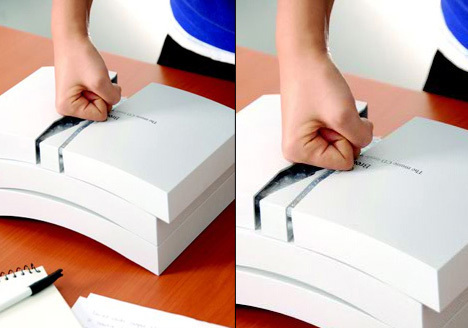 The CD packaging is made of starch so you don’t have to worry about your hand getting an injury. Wow. But what if I break the CD inside? That would be give me more stress!